Gem's Up North : The Gin Festival is back in Manchester! The Gin Festival is back in Manchester! 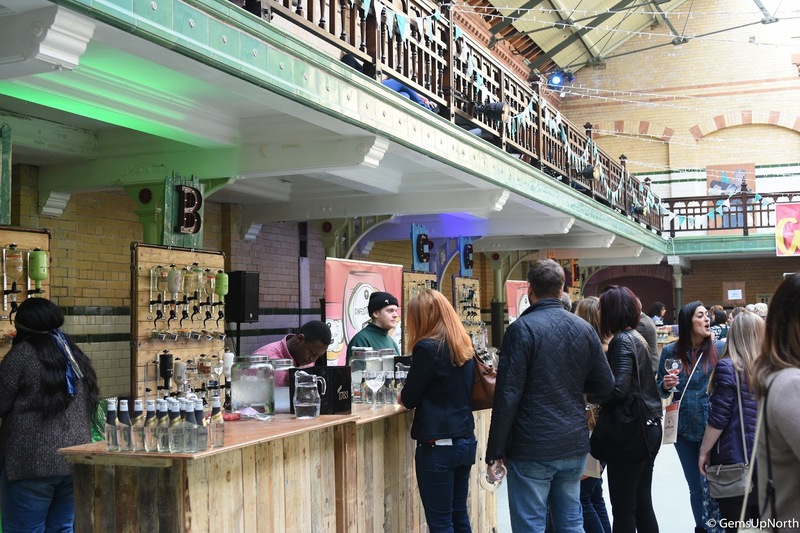 Manchester gin lovers, it’s that time again when the The Gin Festival takes over Victoria Baths in Manchester for a double weekend of gin filled fun! I was lucky enough to be invited down yesterday on the first weekend of the festival and let me tell you I was not disappointed! 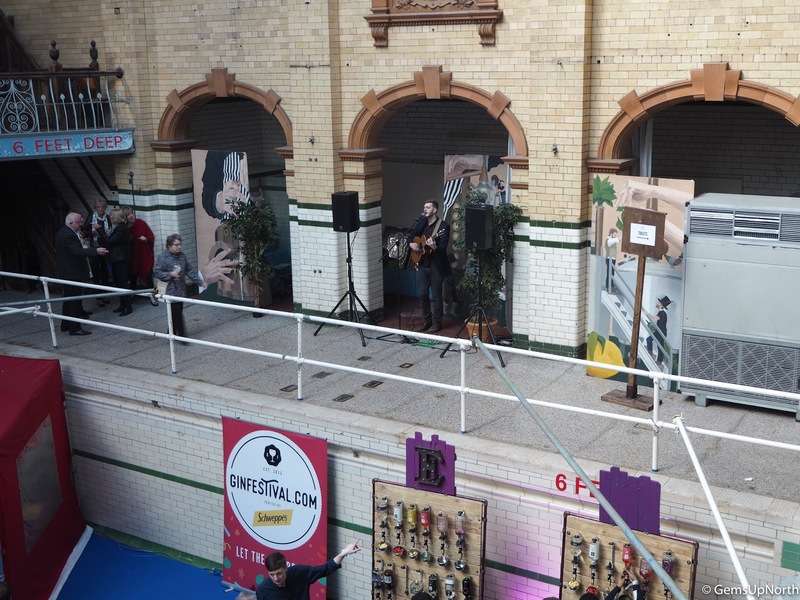 First of all, Victoria Baths is the perfect location for the Gin Festival with its original features and having lots to explore inside the building. 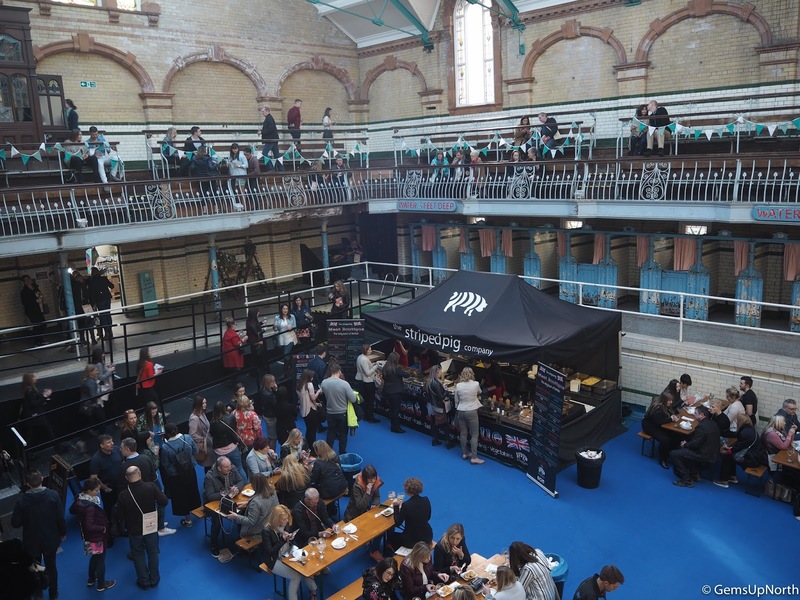 There are plenty of rooms inside Victoria Baths so there’s plenty of space for gin bars, food vendors, gin tasting sessions, a photo booth, masterclasses, a gin shop and secret bar! 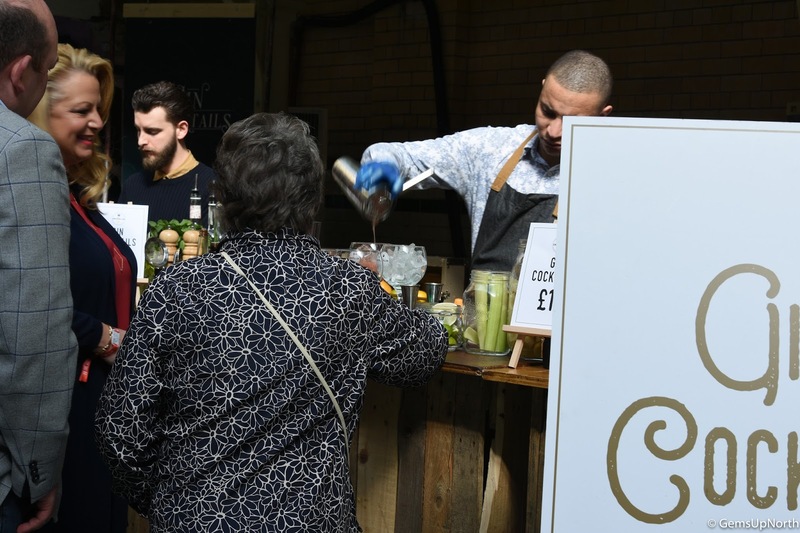 This is the 6th time Gin Festival has been in Manchester and they are expecting over 7000 guests, over the 9 sessions they are running this year. Imagine 7000 gin lovers all enjoying new flavours, new gin brands and enjoying themselves at one festival! When you arrive at Gin Festival you are given a glass, carry bag and a booklet as well as a wristband. 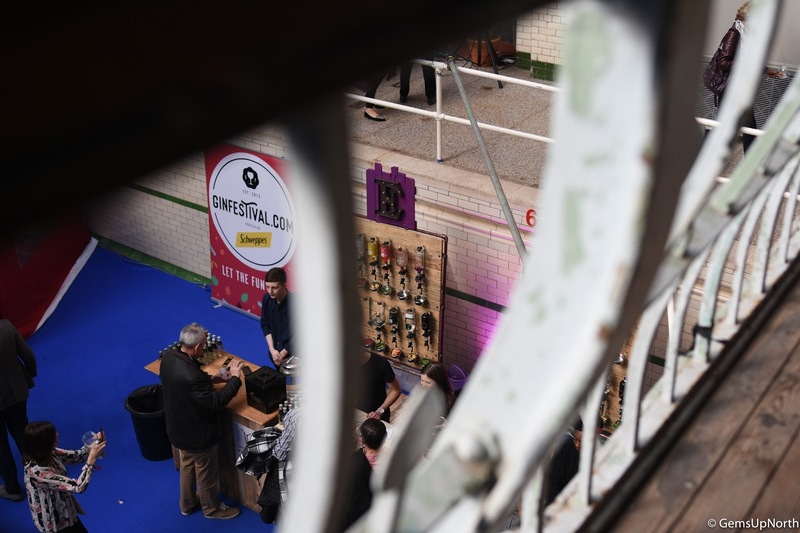 The wristbands was new this year and that’s because gin fest has gone cashless, on your wristband is a small clip which you can top up with cash or even top up before you attend the event online. At the bars your wristband is scanned and that’s it, I think this is much better than last years stamp card system, there no messing around and the cashless system worked perfectly yesterday! There are top up points at the festival in the bar room to top up your wristband for more gin tasting throughout the day! There are 3 big rooms in Victoria Baths, these are what used to be the swimming baths, your actually walking around in where the water would be; I thought this was pretty cool. 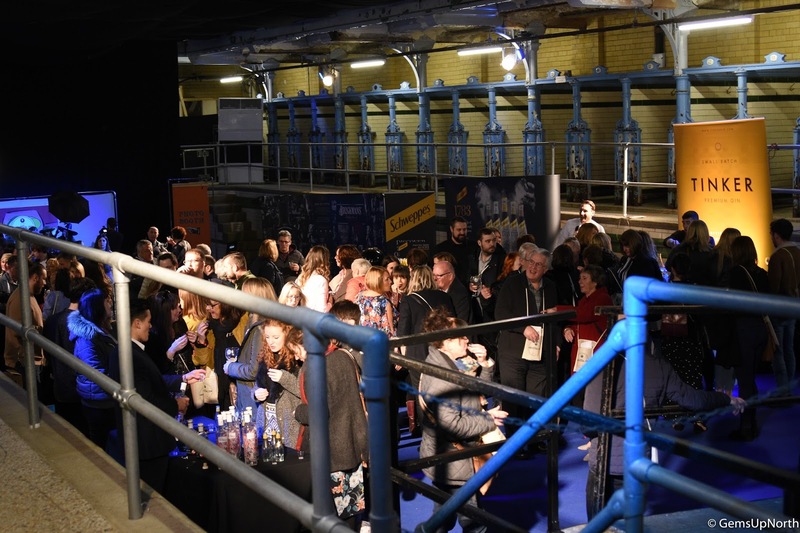 In one room there are brands showcasing their gin’s, they have tasting sessions and it’s a good chance to speak to the brands ambassadors directly. I learnt a lot at the PJ Gin stand and got to sample all 4 of the gin flavours they offer; dry gin, elderflower, raspberry and apple. My favourite was the raspberry which was actually the first gin I tried at the festival yesterday however I wish I’d know before I finished my drink that if I went over to the PJ Gin stand in the sample room the guy said he would top up my gin for free! In the next big room are the majority of the bars, the top-up stations and mixer stand. 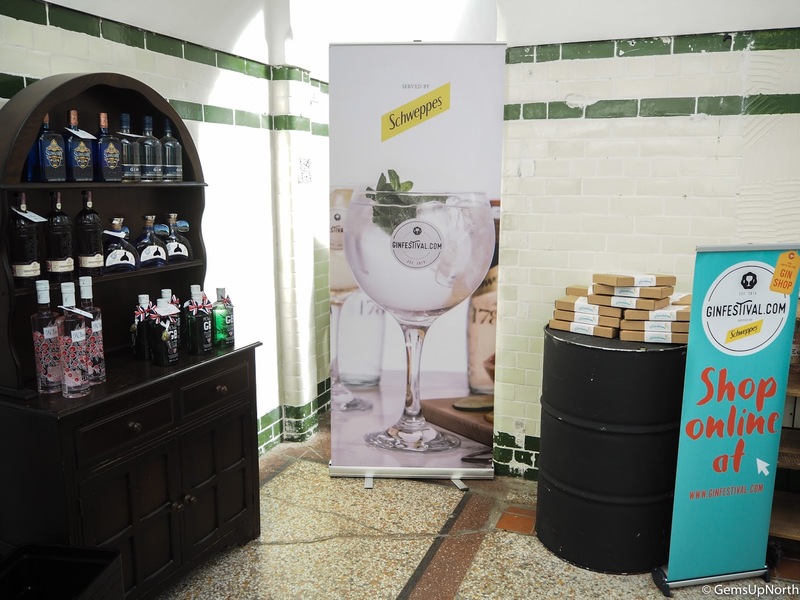 This year Schweppes was on board to provide the gin mixers, this was a shake up from last years Fever-tree mixers. 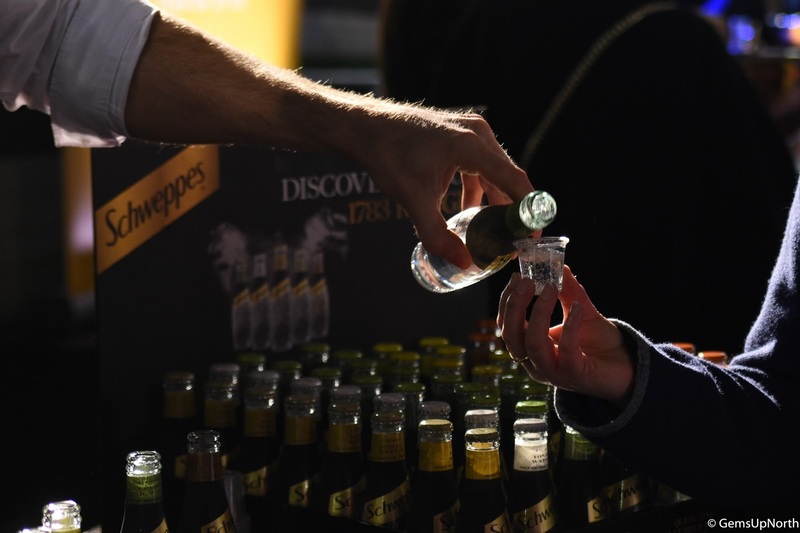 Schweppes have different tonics to compliment your gin’s as well as lemonade and ginger ale; they have 9 products to try at the festival including products from the new premium 1783 range. In the booklet you'll find all the gin info you need for your day including which bars your chosen gin was being served at. Bars A to D was in the second room and the cocktail bar was also in this area. Gin cocktails are available throughout the day and they have a few options to try, so if your wanting to mix things up a little bit then hit the cocktail bar. In the 3rd large room you'll find the food vendors, another bar, a gif photo station and over-head seating. The food vendors was from the Striped Pig and a Chinese option, we went with the Striped Pig which was tasty and home cooked. If this food doesn’t take your fancy there is a tuck shop in the sampling room selling snacks and soft drinks. Whilst in the food vendor room there was a live performer on singing and playing guitar, this kept the crowd entertained whilst we ate and sipped on our gin’s. The over head seating is the old viewing area from the swimming pool days, still with original fold down seats and high steps, totally perfect setting for our gin-filled lunch stop. After exploring the building and all the gin activities I made it onto my second gin of the day, Pink Passion from Aduro Gin. This was a fruity gin with lots of garish; it made the glass look colourful though. I also got to try a beautiful Sweet Potato Plum Gin Liqueur which was a risk that paid off, I really enjoyed this gin as it was super sweet. My last gin of the day was the Puerto de Indias Strawberry Gin which I missed out on trying last year, this was also a sweet gin with raspberry and strawberry garish adding to the sweetness but I must say I preferred the other gin’s over this one. My favourites of the day were PJ Raspberry Gin and Sweet Potato Plum Gin Liqueur; I'm all for the fruity and sweet gin's. Not only did I and the other half enjoy exploring the Victoria Baths but we had a fantastic time trying the different gin’s with like-minded people. 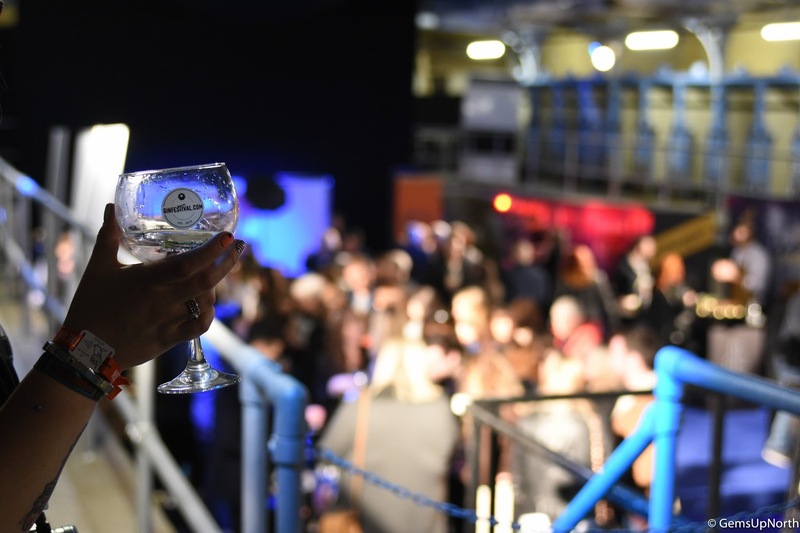 If Gin is your thing then head down to Manchester Gin Festival this coming weekend, you can pick up tickets here; the festival is running from Thursday 29th March until Sunday 1st April. Have a gin filled weekend guys!